One of the privileges of my job is being able to get out and about to see great clinical practice up close. Last week was one of those opportunities arose when, together with the Chief Executive of the Royal Pharmaceutical Society, Helen Gordon, I spent an enthralling few hours at the Old School Surgery in Fishponds, Bristol. It’s a modern GP practice with a growing list of 15,000 situated in the heart of the local community. Two things make the practice a bit different from the norm. Firstly, an independent pharmacist prescriber, Rachel Hall, is a partner in the practice. The second is that there is a community pharmacy on site. Rachel is a clinical pharmacist. She wasn’t brought in as a partner but earned the position through working in the practice for a number of years. The ex-PCT prescribing lead, Carole Buckley, a GP principal and partner in the practice, helped Rachel become an independent prescriber. Rachel runs her own clinics, undertakes research, carries out audit and does all the other things that a committed partner in a GP practice does. She also supports her fellow clinicians on all things medicines. This seems, for example, to give the GPs the confidence to use innovative medicines, such as the Novel Oral Anticoagulants, not just safely and appropriately, but also more frequently than other practices in the area. This not only reduces attendances at warfarin clinics but, looking at The Lancet from a year or two ago, also shows the presence of a clinical pharmacist like Rachel keeps patients safer too. The “PINCER” trial has clearly demonstrated this . Clinical pharmacy is well established in hospitals and my impression is that GPs remember back to their training in hospital, and recall how valuable the support from the ward clinical pharmacist was. Pharmacist prescribing takes that clinical relationship to another level. The relationship with the community pharmacy is interesting. Now there is a business relationship and nobody hides that. It’s all above board. Patients are effectively triaged to the pharmacy for minor ailments, taking workload off the GPs. Anybody needing emergency hormonal contraception goes to the pharmacy. But the particularly inspiring activity was how the community pharmacist, Jonathan Campbell, supported patients with long term conditions, with some 60 per cent of prescriptions run through a repeat dispensing scheme. He spends a lot of his time talking to patients whether face to face or on the phone. This means the community pharmacist is able to optimise prescriptions and medicines accordingly, discussing with patients how they are getting on with their medicines, and linking with the practice clinical staff. This is not only good for outcomes, but also reduces waste. And it’s also good for drug expenditure, with the practice having prescribing/dispensing costs considerably less than the national average. So, in summary, not only great care, but also great clinical relationships within and across professions, that also creates headroom for innovation. Dr Keith Ridge CBE is the Chief Pharmaceutical Officer for England, employed by NHS England, but also supporting the Department of Health and Health Education England. He is head of the pharmacy profession with a workforce of some 150,000 people. He is based within the Medical Directorate and leads on various work-streams including getting better outcomes and value through optimising medicines use. Keith works with Bruce Keogh and across the organisation on the implementation of the Pharmaceutical Price Regulation Scheme. This involves close working across the organisation to make the most of community pharmacy. He leads on reform of specialist pharmacy services and supports HEE on reform of pharmacy education and training. Keith is working across the system on reducing the threat of antimicrobial resistance and working with DH on rebalancing medicines legislation and professional regulation. He also holds the general role of being the systems’ principal advisor on pharmacy and medicines use. Keith was previously Chief Pharmaceutical Officer for DH where he led the development of a well-regarded pharmacy White Paper setting out a clinical vision for pharmacy. He led the reform of pharmacy professional regulation including the establishment of the General Pharmaceutical Council and established and led the Modernising Pharmacy Careers programme aimed at reforming pharmacy pre and post registration education and training. He also held the senior role in pandemic and seasonal influenza planning. Before that Keith was the chief pharmacist at University Hospital Birmingham FT, and prior to that Chief Pharmacist at North Glasgow University Hospital Trust. He has practiced in hospital, community and industrial pharmacy. Keith qualified as a pharmacist 1988 with a PhD in pharmacy practice, University of Manchester. He holds the University of Manchester Outstanding Alumni Award and is a Fellow of the Royal Pharmaceutical Society, a Fellow of UCL School of Pharmacy and honorary Professor in Infectious Disease and Immunity Section of Imperial College Medical School. He was awarded the CBE in the 2014 New Year Honours List for services to pharmacy and patients. 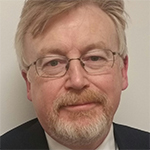 Dr Keith Ridge is Chief Pharmaceutical Officer at NHS England where he is head of profession for the pharmacy professions and the principal advisor on pharmacy and medicines use. His role supports the Department of Health, broader Government and Health Education England. Keith is the Senior Responsible Officer for reducing inappropriate prescribing of antimicrobial in the UK AMR Strategy, and leads on issues such as medicines optimisation, digital medicines, pharmacy educational reform and transforming pharmacy practice in line with the NHS’s Five Year Forward View. He is a visiting professor at the Imperial College Medical School. So good to see examples of co-operative working as it should be – in the best interests of the patient. When I first started my career, I had a long-term vision of pharmacists and GPs working together as partners (small P), and maybe becoming formal Partners as barriers were broken down and trust and value of each other built up. Thirty years on, I’ve seen one or two examples, but let’s hope Old Schoolhouse is the start of a tidal wave. This is a great story and we need to make more of this, and these. Thanks for sharing! I’d be keen to hear from patients how they view the practice and the pharmacy. Do they recognise the added value service(s) they’re receiving? And does it positively impact on both their medicines-taking and broader outcomes (improved experience, activation, morale, health service utilisation)? You can follow the weekly “live” patient experience feedback on Old School Pharmacy on twitter #6Cs and @lpnpharmacy1.